When Jim Farrin wrote his college thesis, he never could have imagined that the topic he chose would have real significance in his life more than 50 years later. After graduation, Judge Lindsey faded into Jim’s past as he moved forward into a business career in the private sector. Still, Jim says, over the years, he always thought it would be great to be able to give back and have a strong mission as the centerpiece of his next career. Then came the phone call…with an offer that Jim couldn’t refuse. The call was from a Princeton classmate who asked if Jim would be interested in running The Petey Greene Program. He didn’t have to ask twice. Jim happily launched his second career. 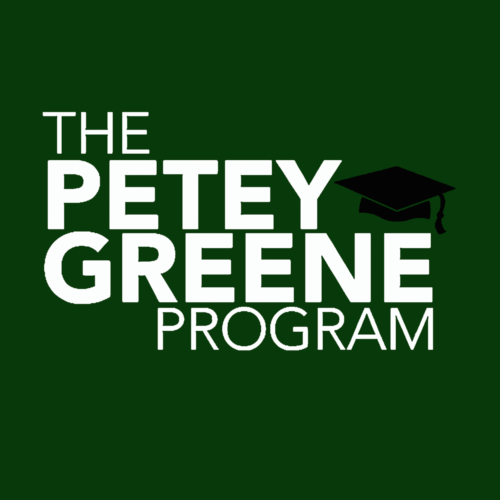 Founded in 2008, The Petey Greene Program supplements prison education by providing inmates with one-on-one, individualized tutoring in reading, writing and math. Not surprisingly, Jim recruited the first 28 volunteer tutors from his Alma Mater, Princeton University. According to Petey Greene, tutored students passed the GED at a rate of 90%, compared with 83% for students who were not tutored. Also, prison staff and tutors report that inmates in the program are less violent, more attentive in class, have higher self-esteem and greater optimism about the future. Adding power to that picture, researchers at UCLA found that while $1 million spent on corrections prevents 350 crimes, the same amount spent on education in prisons prevents 600 crimes. “The education gives people a better chance at getting a job; getting a job for someone coming out is a key to staying out,” says Jim. Currently, 40% of freed inmates are back inside within three years. PG’s goal is to help give prisoners the knowledge and skills they need to continue their education or find meaningful, fulfilling employment after they’re released, giving them an incentive to stay on track. The organization is named for Ralph Waldo "Petey" Greene, Jr. who overcame drug addiction and a prison sentence for armed robbery to become one of the most notable media personalities in Washington, D.C. history. What started with a handful of Princeton students has grown to include over 300 volunteer tutors from six universities who serve five New Jersey correctional facilities. Prior to Petey Greene, Jim spent the majority of his career in international marketing management with several high-profile, retail companies including Colgate Palmolive International and The Mennen Company.